What's on the underside of this ash leaf? 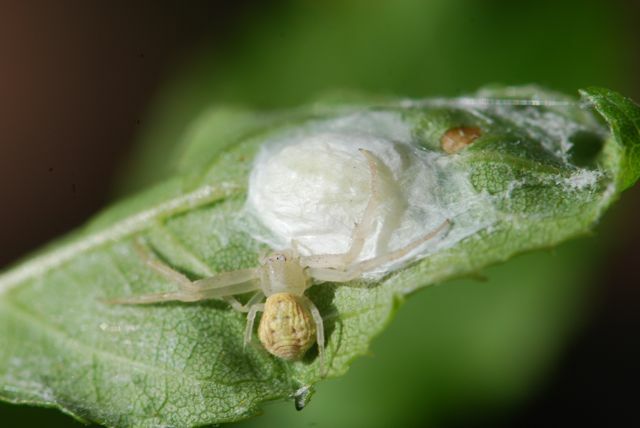 Although she's a few weeks early for Mother's Day, here's a diligent crab spider mom. 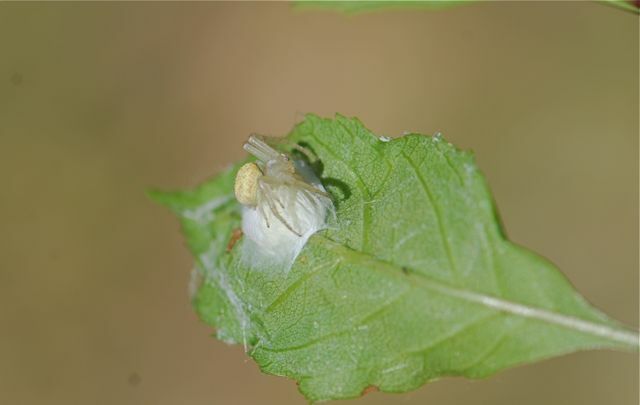 She's guarding her egg case. She's been at it for two weeks now. Look how shriveled her abdomen is. 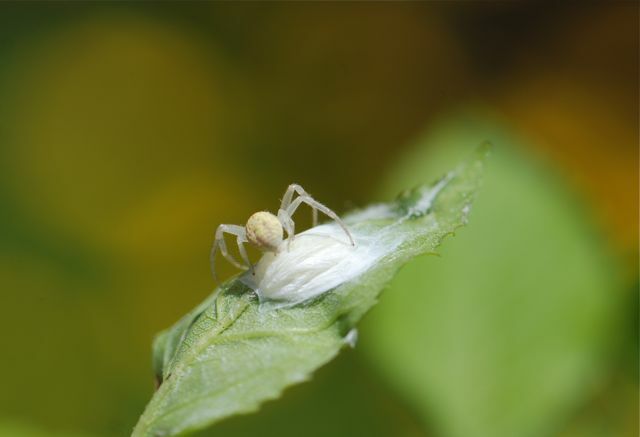 You go, mom crab spider!